I’m back after a weekend in Burnaby where one of my two favourite girls celebrated her first birthday. Yes, a grand time was had by all. But the traffic . . . oh my, the traffic! No, not the traffic on the Lower Mainland; the traffic on the Coquihalla Highway. We were heading west on Friday and everyone else seemed to be going east. On Sunday afternoon, things were reversed. But if that is normal traffic volume for a summer weekend, I don’t like our chances of weaning ourselves off fossil fuels at any point in the next few years, if we don’t burn down between now and then, that is. Anyway . . . back to hockey . . .
D Landon Oslanski (Spokane, Lethbridge, Everett, 2009-13) has signed a one-year contract with the Braehead Clan Glasgow (Scotland, UK Elite). Last season, he had two goals and 15 assists with the Wichita Thunder (ECHL), and two goals and two assists in 12 games with the Toledo Walleye (ECHL). . . .
D Taylor Aronson (Portland, 2009-11) has signed a one-year contract with the Nuremberg Ice Tigers (Germany, DEL). Last season, with Lada Togliatti (Russia, KHL), he had two goals and 13 assists in 41 games. . . .
D Jesse Craige (Lethbridge, Chilliwack, 2004-10) has signed a one-year contract with the Guildford Flames (England, UK Elite). Last season, with Gap (France, Ligue Magnus), he had three goals and 21 assists in 42 games. . . .
D Giffen Nyren (Moose Jaw, Kamloops, Calgary, 2006-10) has signed a one-year contract with Sterling/Vipiteno (Italy, Alps HL). Last season, he was pointless in one game with the Colorado Eagles (ECHL), and had three goals and 12 assists in 19 games with Dijon (France, Ligue Magnus). . . .
G Barry Brust (Spokane, Calgary, 2000-04) has signed a one-year contract with Fribourg-Gottéron (Switzerland, NL A). Last season, in 42 games with Slovan Bratislava (Slovakia, KHL), he was 19-15-5, 2.42, .918 with three shutouts, two assists and 106 penalty minutes. He finished sixth in the league in penalty minutes. . . .
F Michal Řepík (Vancouver, 2005-08) was released by Fribourg-Gottéron (Switzerland, NL A) at his request. Řepík wants to play for a team where he will get the "maximum amount of ice time . . . and thus put all the chances on his side for the ultimate goal of playing the next Olympic Games in Pyeongchang with the Czech national team,” according to Fribourg-Gottéron's press release. . . . Řepík then signed a signed one-year contract with Slovan Bratislava (Slovakia, KHL). Last season, he was pointless in two games with Traktor Chelyabinsk (Russia, KHL), and had seven goals and nine assists in 22 games with Sparta Prague (Czech Republic, Extraliga). . . .
F Jordan Knackstedt (Red Deer, Moose Jaw, 2004-08) has signed a one-year contract with Eispiraten Crimmitschau (Germany, DEL2). Last season, he had 12 goals and 19 assists in 32 games with Herlev (Denmark, Metal Ligaen), and three goals and two assists in four games with Esbjerg (Denmark, Metal Ligaen). D Juuso Valimaki of the Tri-City Americans has signed a three-year entry-level contract with the NHL’s Calgary Flames. They selected him in the first round of the NHL’s 2017 draft. . . . From Nokia, Finland, Valimaki had 61 points, including 19 goals, in 60 games with the Americans last season. In 2015-16, his freshman season, he had seven goals and 25 assists in 56 games. . . . Valimaki, who turns 19 on Oct. 6, will have to be returned to the Americans if he doesn’t crack the Flames’ roster out of training camp. 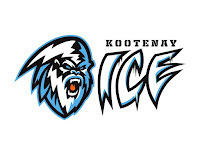 Nathan Lieuwen has signed on as the Kootenay Ice’s video coach. The former Ice goaltender announced his retirement as a player earlier this year. He was forced out by vision problems that are a direct result of a concussion he suffered in one of seven NHL games he played with the Buffalo Sabres. . . . From Abbotsford, B.C., he played on 14 games last season — two with the AHL’s San Antonio Rampage and 12 with the ECHL’s Colorado Eagles. . . . Lieuwen was 85-59-15 in 178 regular-season appearances (2007-12) with the Ice. He backstopped the Ice to the 2011 Ed Chynoweth Cup when he was named the WHL’s playoff MVP. . . . James Patrick, the Ice’s freshman head coach, was an assistant coach in Buffalo when Lieuwen was in the Sabres’ organization. Douglas also works with Hockey Canada as manager, sports performance for the men’s high performance teams, and he also is involved with strength and conditioning with the women’s teams. He also is the head strength-and-conditioning coach at York U in Toronto. In the past, he has worked in that area with the NHL’s Ottawa Senators. 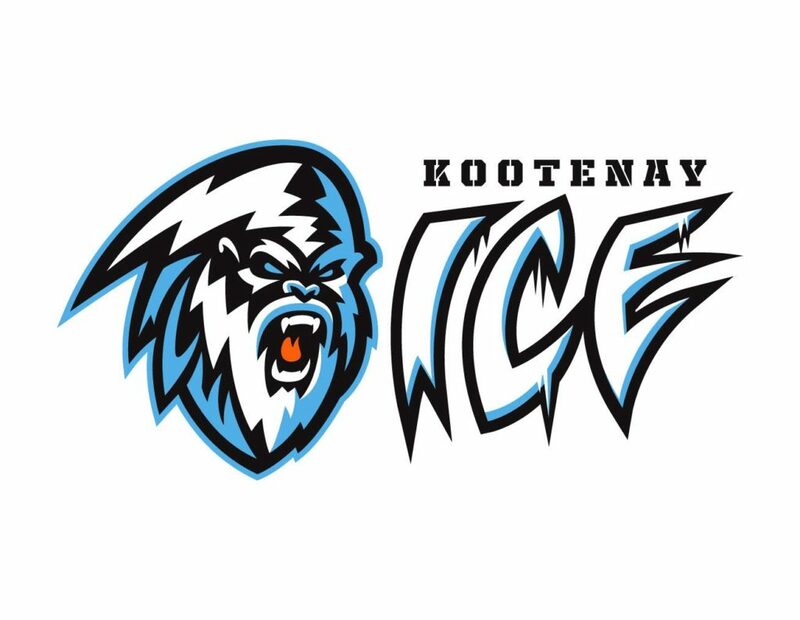 The Ice, of course, changed hands earlier this off-season, with Winnipeggers Greg Fettes and Matt Cockell purchasing the franchise from the Chynoweth family. Cockell, who serves as the Ice’s president and general manager, hasn’t responded to a request for comment. The WHL’s 2016-17 Guide, which came out late in the season, listed Carter Sears as scouting consultant with Wayne Dougherty, Peter Dubbeldam, Ward Edwards, Scott Frizzell, Chad Harden, Zenon Herasymiuk, Scott Perry and Tim Schick shown as scouts. The Ice’s website once included a listing of scouts, but it no longer is there. The website does indicate that Garnet Kaziuk remains the director of scouting, a position he has filled since 2007. Jake Grimes has replaced Todd Harvey on the coaching staff of the OHL’s Guelph Storm. … Harvey, 42, has left the Storm, telling Tony Saxon of guelphtoday.com that he will be scouting for an NHL team in 2017-18. Harvey had been a Storm assistant coach for four seasons. . . . Grimes, 44, will be working alongside George Burnett, the Storms’ general manager and head coach, as associate coach. Grimes was an assistant coach for 11 seasons in Belleville when Burnett was the head coach. Grimes spent the past two seasons as an assistant coach with the Peterborough Petes. . . . Saxon’s story is right here.